by Richard Libert Painting Inc.
Richard Libert Painting Inc. offers Pressure Washing in St Pete, Florida. When it comes to affordable professional pressure washing in St Pete FL, no one beats Richard Libert Painting Inc.'s experienced technicians. 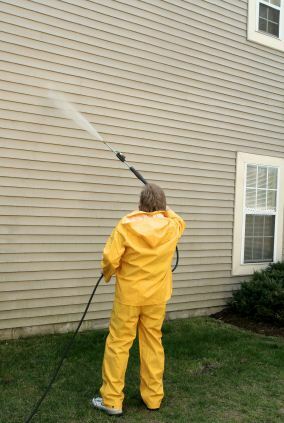 Pressure washing your St Pete home is a great way to increase curb appeal and stop silent invaders such as mold, mildew, moss, and bugs. St Pete homes and buildings can get quite dirty over time, especially if near a busy road. Pressure washing your St Pete structure is the fastest easiest most cost effective way to restore its natural beauty and make it inviting. Why come home to a muted exterior or dirty deck? Richard Libert Painting Inc. would be happy to provide a one-time cleaning or schedule periodic cleanings. When it comes to quality affordable pressure washing in St Pete, FL, Richard Libert Painting Inc. is the pressure washer that St Pete residents trust. 5★★★★★ - "Richard took great care in painting my new home. He came back later to fix scratches, patch up holes, and make things as good as new. He also patched up some chips in the bathtub after it was just reglazed. His professional and friendly attitude came through even during evenings when he went out of his way to come by after dealing with other contracts. The whole process was relatively painless, given the original state of my walls. I recommend Richard to anyone in need of a painter. He's trustworthy and reliable!" 5★★★★★ - "Very pleased with how our house turned out. Excellent work." 5★★★★★ - "Richard Libert Painting hit all targets of what a customer is looking for and expects...very fair pricing, friendly customer service, the use of the best quality materials(PPG paints), timeliness, and final execution/product. They painted and transformed faded kitchen cabinets into new ones, along with multiple rooms of drywall, trim, and baseboard. Customer satisfaction has been met and we will use and refer this company for future projects." 5★★★★★ - "Great job. We did have a miscommunication on exactly what I wanted to do with our water closet wall and was not what I expected. Richard came back and redid the entire room. Customer service was wonderful and the room is exactly what I wanted." 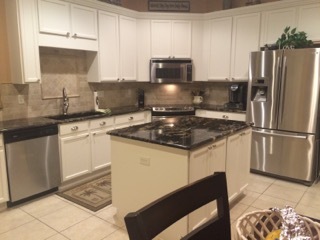 5★★★★★ - "They painted our kitchen cabinets and transformed a dark, outdated kitchen into a bright, fresh looking room. 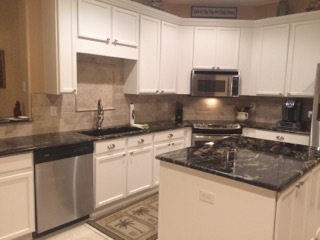 While our cabinets were of very good quality, the dark oak did not go with our black granite countertops. 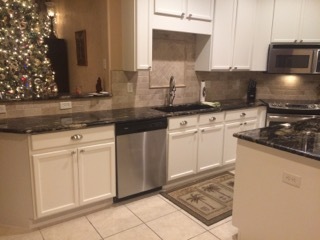 They painted the inside and outside of the cabinets a wonderful white to show off the black countertops. The staff were extremely easy to work with and so meticulous. The finish is solid and chip resistant. Their work was more refined and less costly than the other quotes we received. We highly recommend them." 5★★★★★ - "We've worked with Richard from Richard Libert Painting for many years. He's a true professional and superb painter. Highly recommend!" 5★★★★★ - "We were looking for a professional painter to paint two large interior rooms of our rental house, a neutral color before we moved in. I called Richard's company on a Thursday, and he was able to meet us that Saturday for an estimate. He started the job that Monday and finished within one day. He painted the walls, trim and door frames at our request, and the place looks like a whole new house! We were very pleased with Richard's work. Richard and his wife were very responsive to calls/texts/emails, and we would highly recommend his company." 5★★★★★ - "We FINALLY got the backsplash done. Floor won’t be in until February, but I wanted to get these photos out to you! We love our cabinets. Of course, I have spilled stuff and they wipe up beautifully. You guys did an awesome job and we appreciate it. Again, if someone wants a recommendation, let us know." 5★★★★★ - "Last Week Richard and his assistant came to our home and did an awesome job! They are clean, professional, and showed extreme attention to detail. Richard will do all of my painting jobs in the future. His quotes are spot on, and I highly recommend him to anyone!" 5 ★★★★★ - " Thank you so much for the pictures and the receipts. What a huge difference! The house looks wonderful and we couldn't be more pleased. I have to tell you, we have done quite a bit of work on this house in the past. Up until now, it has been just short of a nightmare. Arranging for trustworthy contractors, hoping that people take pride in the job that they do- it is a daunting undertaking to say the least. And to do this all long distance from DC has made it even worse. You have changed all of that for us. Your professionalism, communication, and the hard work and efficiency of your team has been second to none. We can't thank you enough. Please let us know if you even need a reference for a potential client. We'd be happy to help." 5 ★★★★★ - " I just wanted to drop you a quick note and thank you for your courtesy, professionalism, and attention to detail. On a scale from 1 (bad) - 5 (great) I rate your painting service a 5. I will certainly remember to call you the next time I need the help of a high quality, professional, Painter. I appreciate your work." 5 ★★★★★ - " Does an excellent job. I would highly recommend him." 5★★★★★ - "I am writing to thank you and your workers for an excellent job that you did on our house. I would recommend Richard Libert Painting to anyone looking for a hard working painter that works not only fast but for an honest price. He was very courteous, his estimate via email was clear and understandable, he completed the job within the timeframe that we had needed. We needed the exterior of our house and roof to be pressure washed then the outside of the house painted. When he was done pressure washing the roof it looked brand new. He also painted the whole exterior and it looked AWESOME. Nothing was missed and I didn't need him to come back out to touch anything up. At the same time we needed the interior to be completely redone. He scrapped off the old popcorn ceilings in the entire house and created a more modern and nicer looking texture which he then painted white. He also fixed several holes (from nails and items that were mounted to the walls) after that he painted all 3 bedrooms 2 bathrooms closets kitchen, dining area and living room. Again an AWESOME job. He kept the work area clean and there was nothing left for me to clean up when he was done. He is a great painter, with the desire to work, a trait not easily found these days. He has the knowledge and expertise of master painter." 5★★★★★ - "We were very pleased with the job done. Workers were wonderful and job was finished ahead of schedule. House now looks beautiful! Highly recommend!!" 5★★★★★ - "Richard, I want to thank you for the service that you and your company provided me. You showed up on time to quote me the job, you are friendly, reliable, passionate, and most importantly a great painter. You cleaned up after yourself, and went above and beyond with some extra work to make the house look nice. I appreciate the service and look forward to using you again- I would highly recommend you to anyone needing a paint job. Thank you." 5★★★★★ - "A very great person to have worked for me. He takes pride in his work and loves the work he does. I will surely recommend him to all my friends and anyone who is talking about having their home painted. Great job. Thanks so much. My home now looks like new again." 5★★★★★ - "Performed as promised. Would recommend." 5★★★★★ - "Mr. Libert was very professional and knowledgeable about the job I needed to be done. He finished the work as promised. We are very satisfied and are now considering using him for another job." 5★★★★★ - "Very good. Fast and professional." 5★★★★★ - "It was great. They worked hard and got things done in my time frame!" 5★★★★★ - "Detailed explanation on the faux finishes and painting. Overall on-time appointments." 5★★★★★ - "Very professional. Very clean. Did a wonderful job. We will be using Richard again to have our house painted this fall." 5★★★★★ - "I was very pleased with the work Libert painting performed. They were prompt and quite courteous. Job was very well done!" 5★★★★★ - "Richard textured and painted bedroom wallboard; painted ceiling, baseboards, trim, closet and entrance doors. Very thorough job, very timely ... took less than 2 days. Room was very pleasing to view afterwards. Texture came out nicely, painting was neat and professional. Great job! Richard advised me with some helpful hints for other areas needing repair; Richard will be the 1st to call for similar projects!" 5★★★★★ - "Hi Richard, We just wanted to thank you and your crew for the wonderful job last weekend. We will definitely tell folks about you and will be calling you for more work when we have to move and repaint." 5★★★★★ - "Richard Libert Painting recently completed painting the exterior of my home. The job was done with meticulous attention to detail, completed when promised and truly a work of art. This is the second major job Richard has completed for me in the last three years. His eye for color and recommendations are always right on. I would highly recommend his work." 5★★★★★ - "I hired Richard Libert and his crew to paint our house this spring. We picked his company as his offer was very competitive and included several “extras” , such as pressure washing our drive way and side walk and refinishing the wooden front door. His crew got the job done with no delays and was always courteous. The house looks great and we have received nothing but compliments. I would definitely recommend Richard Libert Painting." 5★★★★★ - "Richard, I want to thank you and your team for the outstanding work you did at my house. So many contractors make promises when they sell the job that never come to fruition when the job is actually done. Your team was punctual and neat, very neat. With 4500 square feet of ceiling and 5 different colors in various rooms plus trim, I can't find a drop of paint that didn't land where it is was supposed to. I am 100% satisfied, a job well done." 5★★★★★ - "Robert Libert Painting painted the exterior of our house this spring. We live in a section of our homeowner's association that include 5 acres lots. The contract was to paint the exterior of our 5000+ under roof block home. The price was very reasonable and included taping, window covering, pressure washing, caulk windows, patching cracks and other areas as needed, sealer with waterproofing and tint, and final paint coating with PPG. The schedule for completion was not met because of excessive wind and rain. The clean up was great. The punch list at the end of the job was done before we could even say anything. My warranty is 7 years. Richard Libert is a man of his word and deserves your business." 5★★★★★ - "I got several bids from several different contractors, and although Richard's was not the lowest, I knew after a few minutes of meeting with him that he was the man for the job. If you are looking for true lines, true texture and true inspiration from a painter AND designer, call Richard Libert. He will give your house the best makeover it deserves! Great friendly staff!" 5★★★★★ - "I wish to thank you for the superior level of workmanship that went into the exterior painting of our historic 1925 bungalow, garage, and shed. This was not an easy project due to the extensive preparation required for painting a historic house with wood siding. As you know, I was present over the several weeks that this work was performed. I found your painting crew to be very conscientious and professional. They were very easy to work with and took pride with extending the extra effort to assure that the quality of the job met my satisfaction. You were also extremely pleasant to work with. I appreciate your attention to detail, excellent communication and commitment to providing a quality paint job that will last for many years. Since the completion of the project we have received many compliments on how nice our house looks. I can happily say that I will recommend Richard Libert Painting, Inc. for anyone needing high quality, professional painting services." 5★★★★★ - "Outstanding, awesome, terrific & artistic are words that describe the paint job of my home, 9 rooms & 2 hallway, done by Richard Libert Painting, Inc. But that's not all. The painters were respectful, very neat & very clean. Furniture was moved, including a very heavy bed with a steel headboard & a steel footboard. The bed, as well as all of the furniture, was returned to their original places. Artistic work was done on the ceilings of the living room, the dining room & the master bedroom. The walls were all done with 2 coats of paint. Accent walls were painted in the living room, the master bedroom & the guest bedroom. One could imagine they were in the Vatican's Sistine Chapel viewing rich colorful ceilings as well as well-done walls. It was an exciting & highly pleasurable experience having Richard Libert paint my home, The results were outstanding, awesome, terrific & artistic." 5★★★★★ - "We want to thank you for the professional work you performed at Courtesy Toyota. The building looks great! We were impressed with your timeliness, cleanliness, efficiency, attention to detail, and especially that you personally oversaw the job. We highly recommend you and will call you for all our future painting needs." 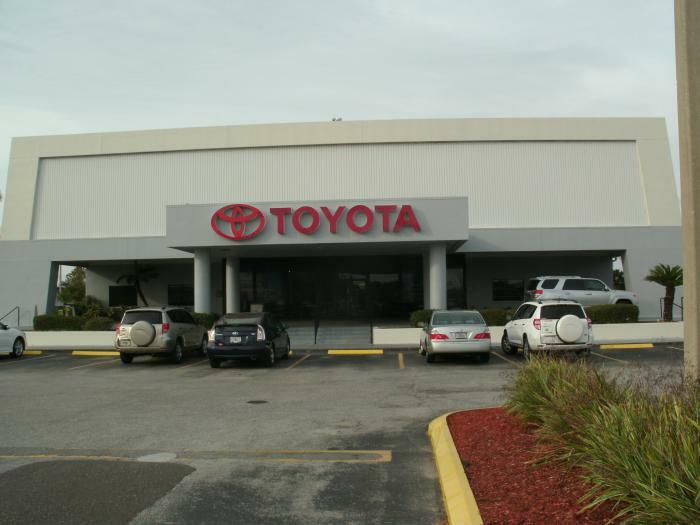 Debbie Melton, Customer Relations Manager Courtesy Toyota, Tampa, FL"
5★★★★★ - "I just wanted to add to your list of happy, satisfied customers. It has been several years since you painted my living room, kitchen, stairway and upper deck. I am amazed and wonder how the paint and color lasted so long and so well. Also, you gave me excellent advice with the color selection. That meant so much to me, you just don't know! Thank you again for a job well done." 5★★★★★ - "The crew of Richard Libert Painting, Inc.; Joes, Charlie, Jay and George have been doing drywall repairs and painting on the following: bedroom, bathroom, garage and outside wall. I am extremely happy with the quality of the work in all areas. I would recommend them for other work." 5★★★★★ - "Richard Libert painted our home this past spring. We hired him after seeing work he had done in our neighborhood and talking with the homeowner who was very pleased with the job. We also were very happy with Richard and his employees. The bid was very competitive. The work was very professional and done on time. I would highly recommend Richard Libert Painting for your next home improvement project." 5★★★★★ - "Just wanted to let you know how pleased with the job your guys did for us. We're your customer for life!"